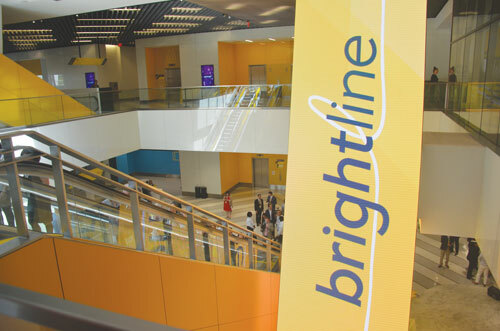 On Friday, May 11, Brightline hosted the MiamiCentral Preview Celebration for regional elected officials and media. 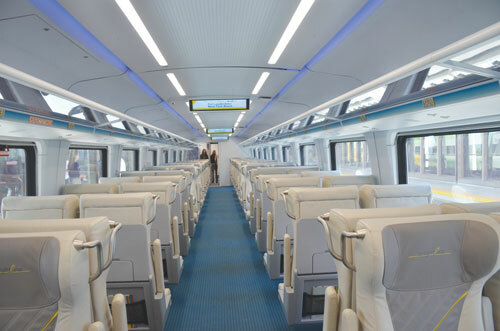 MiamiCentral is the biggest and grandest of three South Florida stations and home to the new inter-city express train that connects Southeast Florida more comfortably, quickly and reliably than ever before. 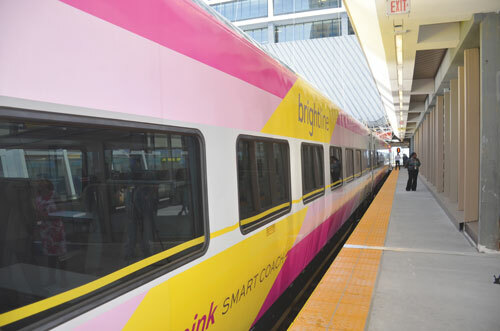 Brightline is one of the most advanced passenger rail systems in the nation. 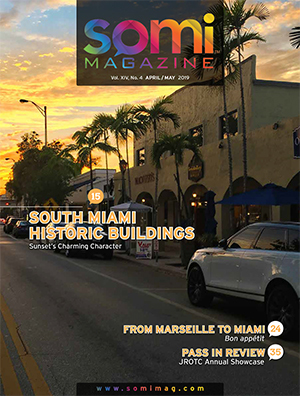 Now, travel between Miami, Fort Lauderdale and West Palm Beach is a quick, comfortable journey for vacationers and commuters alike. 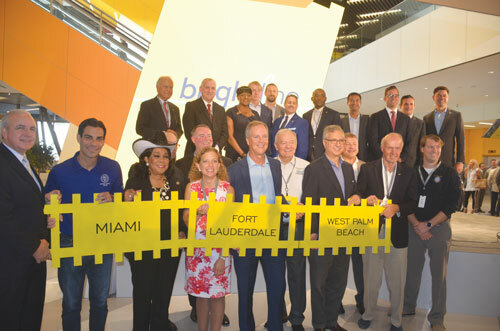 Brightline’s trains will use the Florida East Coast Railway, the same tracks built by Henry Flagler more than 100 years ago, from Miami to Cocoa Beach. It will then turn west on new tracks along the BeachLine Expressway to a final stop at Orlando International Airport. 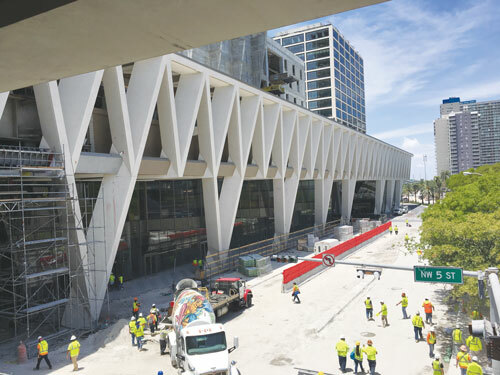 For months workers have driven more than 1,600 pilings as deep as 100 feet into the ground for the base of Brightline’s MiamiCentral station. 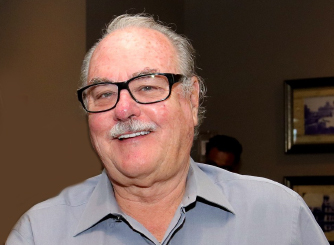 The 305 station, which stretches from Northwest Third to Eighth streets, will be flanked by a high rise office building and two apartment towers. 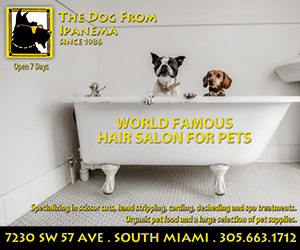 The platform for the trains, about 1,000 feet long and 200 feet wide, will top a concourse that holds two floors of stores and restaurants from just east of Miami-Dade’s county government center to the Overtown Metrorail station. Garages for two high-rise residential towers, an office building and retail shops will be integrated into the station, and a separate 80-story skyscraper also is planned. 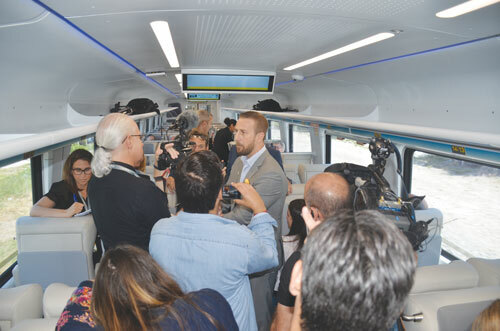 The run for media tour from Miami to Fort Lauderdale took 30 minutes, with the train going at 79mph. 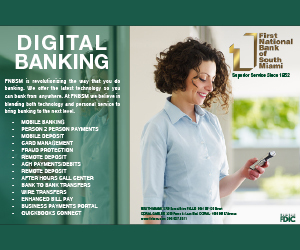 Service for the general public opened the following weekend. Congr. 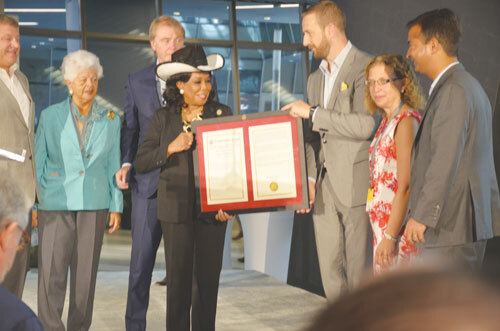 Frederica Wilson presents Brightline President & COO Patrick Goddard with copy of the Congressional Record announcing the Miami event. Elected officials from Miami-Dade, Broward and Palm Beach Counties at the 305 Opening Ceremonies. 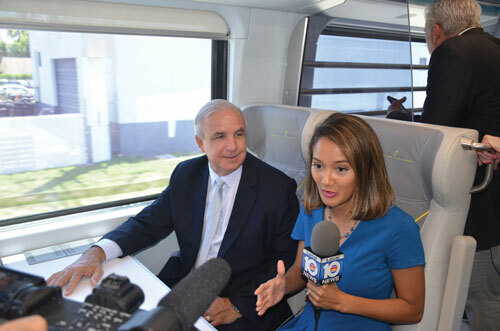 Channel 10’s Madeline Wright reports the 12noon live clip with County Mayor Carlos A. Gimenez. Brightline’s President giving interviews with media. FOX News National Correspondent Matt Finn interviews Congressman Bill Shuster, Chrm., Transportation and Infrastructure Committee.